AC Milan have reportedly won the €35 million chase for Flamengo and Brazil attacking midfielder Lucas Paqueta, beating rumoured interest from the likes of Liverpool, Paris Saint-Germain and Manchester United. Paqueta, 21, has been convinced to head to the Rossoneri by sporting director Leonardo’s promise of regular first-team football and a similar acclimitisation process as that enjoyed by the iconic Kaka more than a decade ago. Globo Esporte were the first to report that the two-times-capped international will undergo a medical this week, ahead of joining Milan in the winter transfer window. United were strongly linked to Paqueta’s signature last month, while Liverpool rejected talk of a move on Wednesday. Brazil superstar Neymar had also been rumoured to have attempted to convince him about a switch to the Ligue 1 champions. 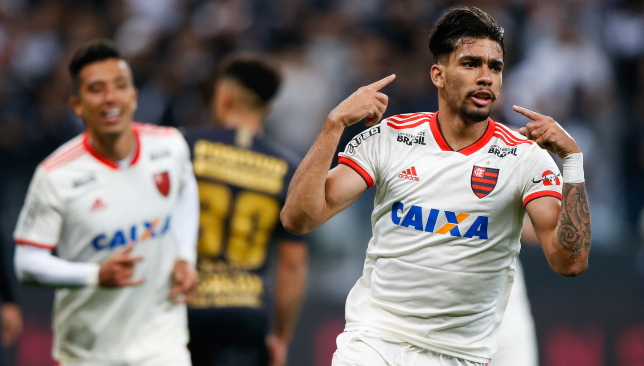 Paqueta has scored 17 times in 87 appearances for Flamengo. Chelsea forward Alvaro Morata believes Belgian playmaker Eden Hazard won’t try and push through a dream transfer to Real Madrid, despite intense speculation he will become a Bernabeu star in the near future. Morata, who has recently forced his way back into the reckoning at Stamford Bridge and knows a thing or two about Los Blancos having started his well-documented career in the Spanish capital, thinks Hazard is there to stay in west London for some time yet. 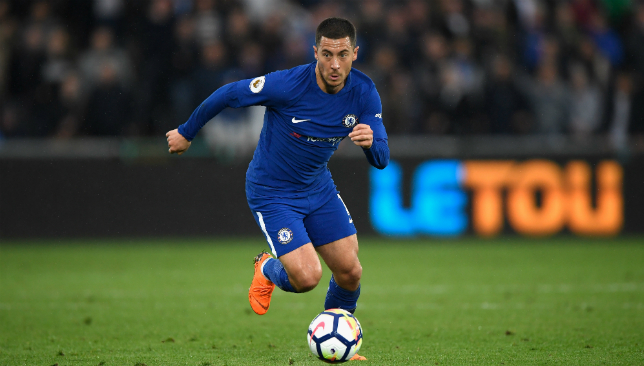 Hazard was touted as the man to become Florentino Perez’s marquee signing last summer, and although the 27-year-old wasn’t shy in hiding his desire to join the Whites, nothing materialized. Since then and off the back of a stellar World Cup with Belgium, Hazard has been a star turn in Maurizio Sarri’s Blues outfit which has reached joint-top in the Premier League table. “We’ve said that it’s not that he wants to leave Chelsea but if Madrid come in for him, that won’t be an obstacle,” Morata told Spanish broadcaster Cuatro, in response to a question about his club team-mate. Eden Hazard has fuelled renewed speculation over his Chelsea future, saying “it is my dream since I was a kid” to play for Real Madrid. The Belgian has been in blistering form for the Blues this season, sitting atop the Premier League scoring charts with seven league goals – he has eight across all competitions – to lead Chelsea to joint-top spot in the league table, level with Manchester City and Liverpool. That sort of goalscoring form would be well-received in the Spanish capital at the moment, as the European champions have gone four straight games without scoring for the first time since 1985. Hazard has repeatedly been linked with a move to the Santiago Bernabeu, most recently this summer following the World Cup, where he starred in captaining Belgium to a best-ever third-place finish at the tournament and was named the competition’s second-best player. “I spoke after the World Cup and I said that I think it is time to change because I played a great World Cup,” Hazard said on Sunday after Chelsea’s 3-0 win over Southampton. Hazard is out of contract at the end of next season, which means once the current campaign ends, he’ll be in the same position as international teammate Thibaut Courtois, who forced a move to Madrid this summer. The goalkeeper had just a year left on his contract, reducing his transfer value, and he failed to turn up for pre-season training at Chelsea before completing a transfer in August. However, Hazard says he wants to avoid a repeat. Hazard says trophies will not be the driving factor behind any transfer decision he makes, despite Chelsea having finished sixth last season and thus failing to qualify for the Champions League – a competition Real Madrid have won in three straight seasons.